I’m sorry, some of these deals are rubbish, I mean come on watch dogs and need for speed rivals and project cars for £15 each. Daylight robbery! I’m sorry, some of these deals are rubbish, I mean come on watch dogs and n …I’m sorry, some of these deals are rubbish, I mean come on watch dogs and need for speed rivals and project cars for £15 each. Daylight robbery! What you sorry for? 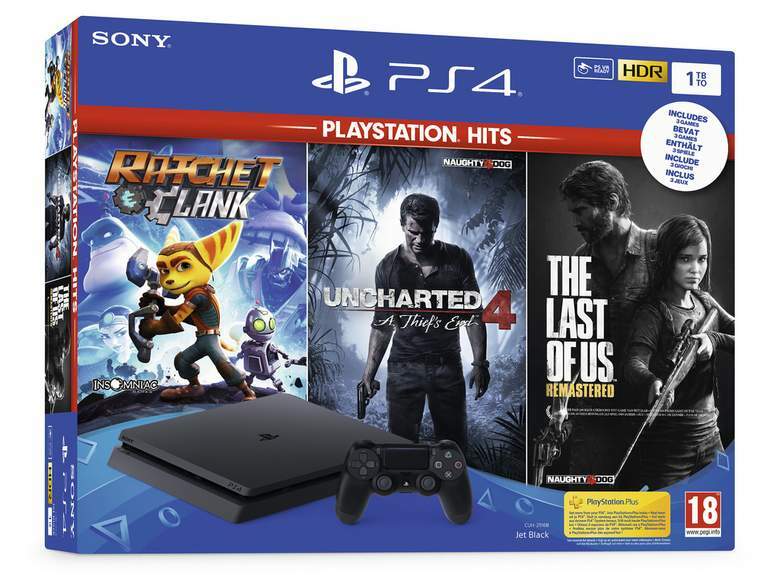 They're not deals, it's an announcement of the new PlayStation Hits range, but yes the pricing for the games included is pretty crappy, but as I mentioned above, with the pricing as it is, it sets up a nice opening for some fantastic deals in future sales. I might have to buy it if I can't find my disc. Pardon? MW3? (I.e. The CoD game that was nearly as bad as CoD Ghosts?) Hopefully that was a simple typo and you meant MW2? That would make a lot more sense. I would like to see MW2 on BC...and then a remastered version. Regarding this PlayStation Hits announcement though, seems like a slightly cusious pricing to try and milk some value out of some ageing (but quality) titles. £16 for Battlefield 4? Errr...no! Amazing game but seems to be frequently on sale for a few quid digital. Pardon? MW3? (I.e. The CoD game that was nearly as bad as CoD Ghosts?) …Pardon? MW3? (I.e. The CoD game that was nearly as bad as CoD Ghosts?) Hopefully that was a simple typo and you meant MW2? That would make a lot more sense. I would like to see MW2 on BC...and then a remastered version. 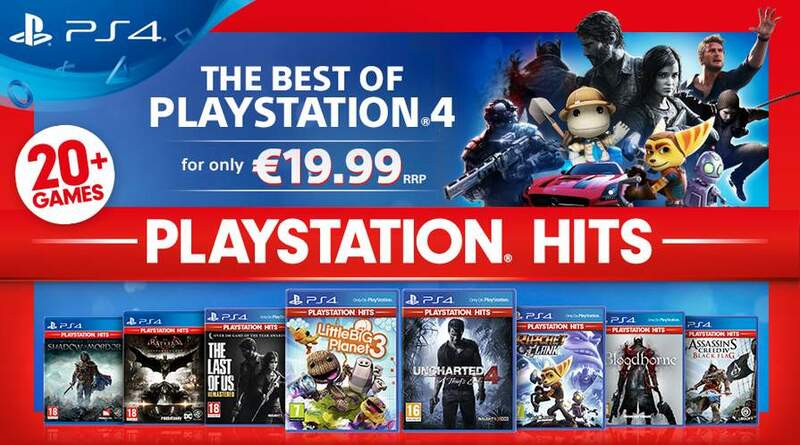 Regarding this PlayStation Hits announcement though, seems like a slightly cusious pricing to try and milk some value out of some ageing (but quality) titles. £16 for Battlefield 4? Errr...no! Amazing game but seems to be frequently on sale for a few quid digital. I think the one that im interested in out of these has to be yakuza zero in terms of price drops cause if he standard is shifted to £15.99 then prewoned copies should be decently priced. Looking to try the series for about a fiver. Driveclub - preowned can easily be purchased for less than £5, new for sub £10, better off getting the version with the season pass which includes all the add on DLC content and Bikes. The Last of Us Remastered - £16 is a fair price for this fantastic game and easily worth every penny. I have seen sales for as low as just above £10 before but £16 is one of the only games on the list for which at the moment is 'well priced'. Uncharted 4: A Thief’s End - like the Last of Us Remastered, a fantastic game and £16 is worth every penny for this mastery in storytelling, gameplay and graphical achievement (one of the graphical benchmarks in gaming today even having released 2 years ago). Been on sale for less than £10 before though, and Special Editions have been as low as £15-20. GAME have the Libertalia Collectors Edition for around £40-50, sometimes as low as £30. Batman Arkham Knight - regularly on offer for less than £10, once saw a bundle deal with the other Arkham games for £30 (when Arkham Knight was about 6 months old) so could find a bundle collection for less. Street Fighter V - regularly on offer for less than £10 and does include the arcade modes and improvements/additions in an update. However for collectors I assume the red banner on the case will be a turn-off as is the case with the red border around the 3DS Nintendo Selects cases and the silver PS1 Platinum cases etc. I assume this will be like the Nintendo Selects or PS1 'Platinum' thing. …I assume this will be like the Nintendo Selects or PS1 'Platinum' thing. Let's see (for games I give a toss about) ...Bloodborne - was free on PS+ this year, also regularly on sale for less than £10, better off getting the GOTY edition insteadDriveclub - preowned can easily be purchased for less than £5, new for sub £10, better off getting the version with the season pass which includes all the add on DLC content and Bikes.inFAMOUS Second Son - was free on PS+ I believe last September? Can be bought for much cheaper than £16Killzone Shadow Fall - the game which us HUKDers always appeal to be on PS+ but is regularly seen preowned and new for less than £5The Last of Us Remastered - £16 is a fair price for this fantastic game and easily worth every penny. I have seen sales for as low as just above £10 before but £16 is one of the only games on the list for which at the moment is 'well priced'.LittleBigPlanet 3 - was on PS+ I think last year, on sale for less than £10 regularlyRatchet & Clank - was on PS+ this year I think with Bloodborne, lowest I've seen this on sale on HUKD was around the £10 rangeUncharted 4: A Thief’s End - like the Last of Us Remastered, a fantastic game and £16 is worth every penny for this mastery in storytelling, gameplay and graphical achievement (one of the graphical benchmarks in gaming today even having released 2 years ago). Been on sale for less than £10 before though, and Special Editions have been as low as £15-20. GAME have the Libertalia Collectors Edition for around £40-50, sometimes as low as £30.Watch_Dogs - regularly on offer for less than £10Assassin’s Creed IV Black Flag - regularly on sale for less than £10Rayman Legends - was on PS+ I think last monthMortal Kombat X - regularly on sale for less than £10Batman Arkham Knight - regularly on offer for less than £10, once saw a bundle deal with the other Arkham games for £30 (when Arkham Knight was about 6 months old) so could find a bundle collection for less.Middle Earth: Shadow of Mordor - regularly on offer for less than £10Street Fighter V - regularly on offer for less than £10 and does include the arcade modes and improvements/additions in an update.However for collectors I assume the red banner on the case will be a turn-off as is the case with the red border around the 3DS Nintendo Selects cases and the silver PS1 Platinum cases etc. You know the generation is coming to a close when they wheel out the platinum/classics range. As someone mentioned, Yakuza 0 from that list is the only decent deal. Quite strange that they don't seem to have done GotY/complete versions of a few of the titles. Bad value tbh but will probably fool some of the parents at Christmas time. You know the generation is coming to a close when they wheel out the …You know the generation is coming to a close when they wheel out the platinum/classics range.As someone mentioned, Yakuza 0 from that list is the only decent deal.Quite strange that they don't seem to have done GotY/complete versions of a few of the titles. Bad value tbh but will probably fool some of the parents at Christmas time. Yeah 100% should be complete versions. They are where ranges like this usually provide the real value. Nintendo selects is the best of these ranges as they are often cheaper than the 2nd hand price when they first appear. Same guys behind new Tomb Raider?